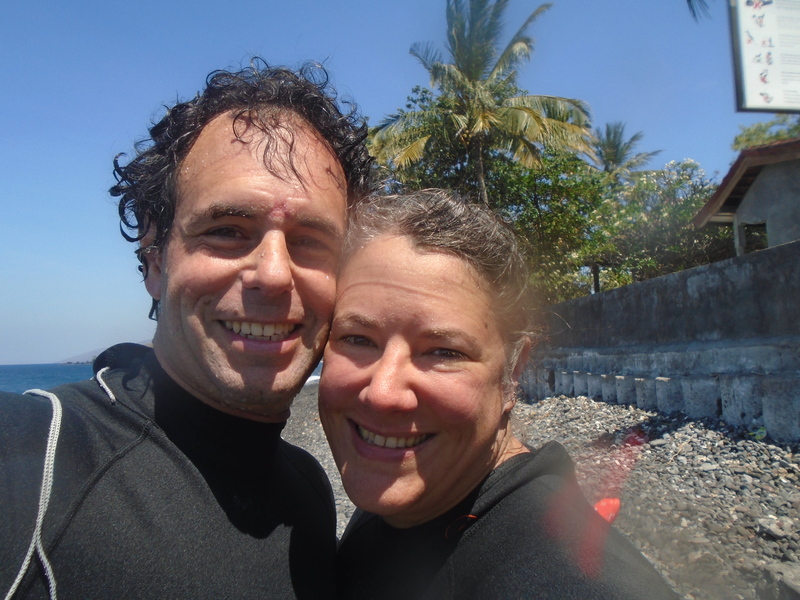 With a week left after finishing our snorkel safari and no plans made, we stayed on the Path of Least Resistance taking us to the town of Ubud. 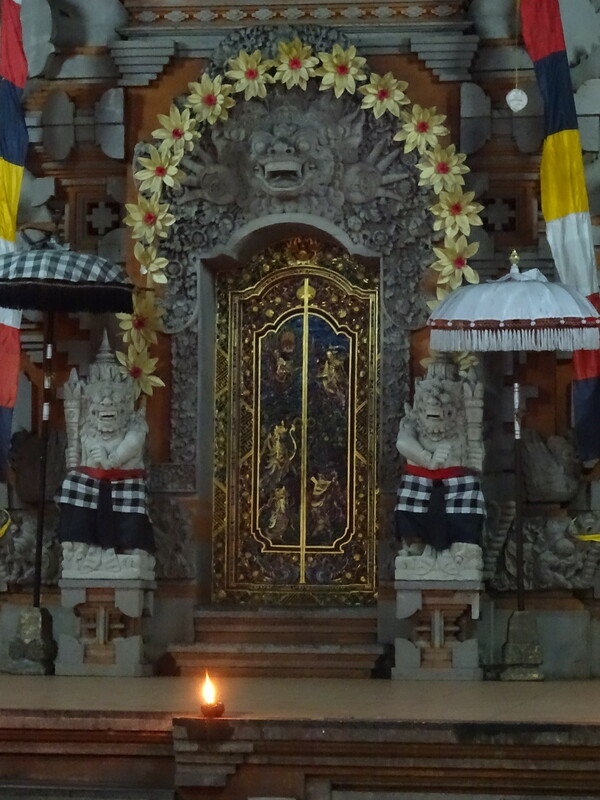 We had no idea it was part of the Julia Roberts movie Eat, Pray, Love, but part of the movie is set in Ubud and it’s popularity has soared since then. For us, it seemed like an arty place where we might take a class or two. We were right! It was also totally touristic with street after street after street of shops and restaurants. 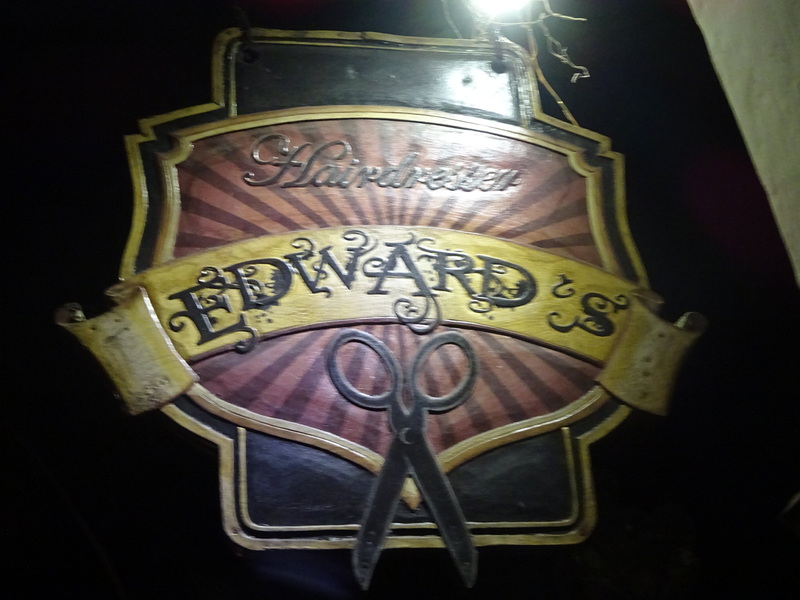 Merchandise ranged from loads of cheap stuff (still locally made, though – not from China!) to very nice artisan quality items from around the world. There was something for everyone. Side street in Ubud. Charming, eh? We had lunch and fruit drinks at a little tiny shop here – for about $4. Assume this is the entrance to a temple, but not sure. 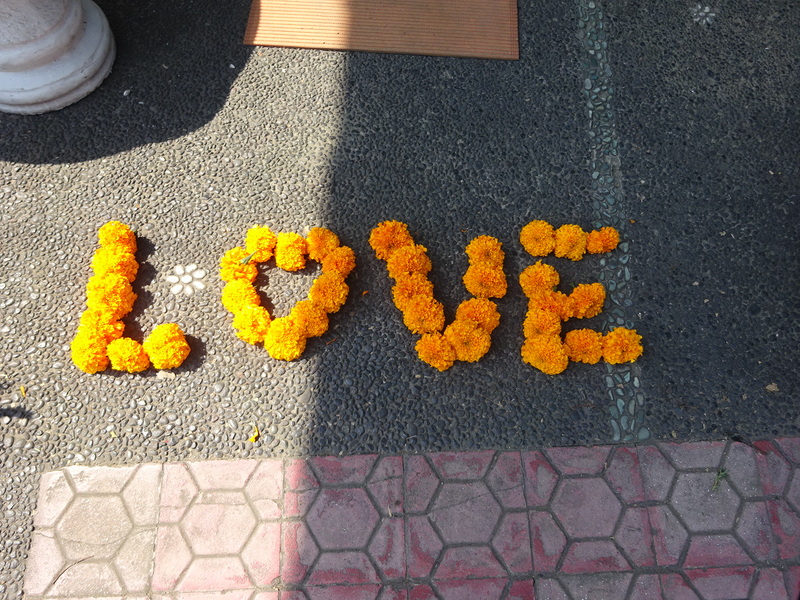 Love these decorations and how marigolds show up in everything. 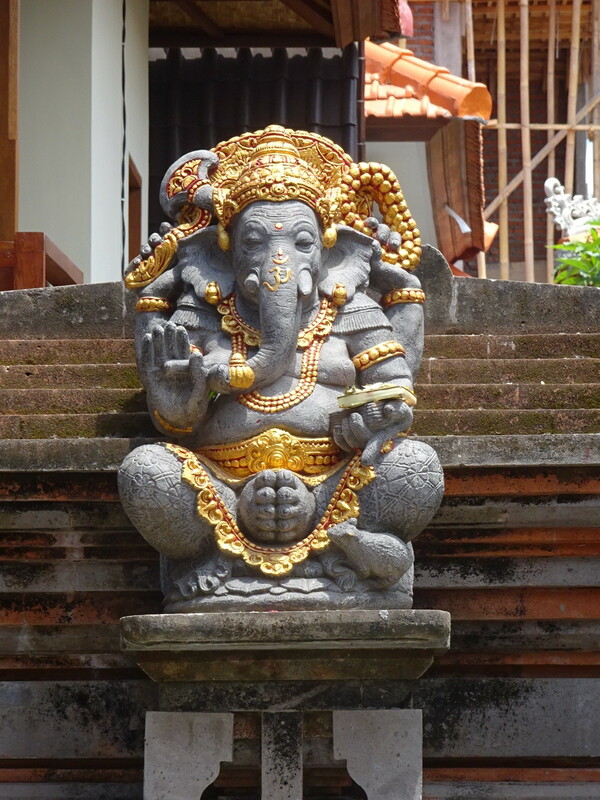 Statues of gods adorn Ubud and all of Bali, really. 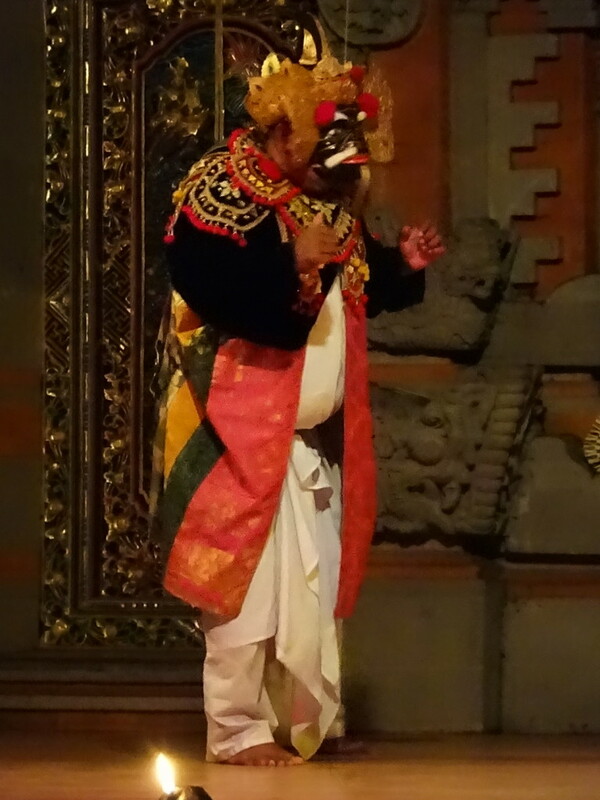 Hand gestures and placement were important for the female dancers. The princess was captured and held by a “ring of soldiers”! 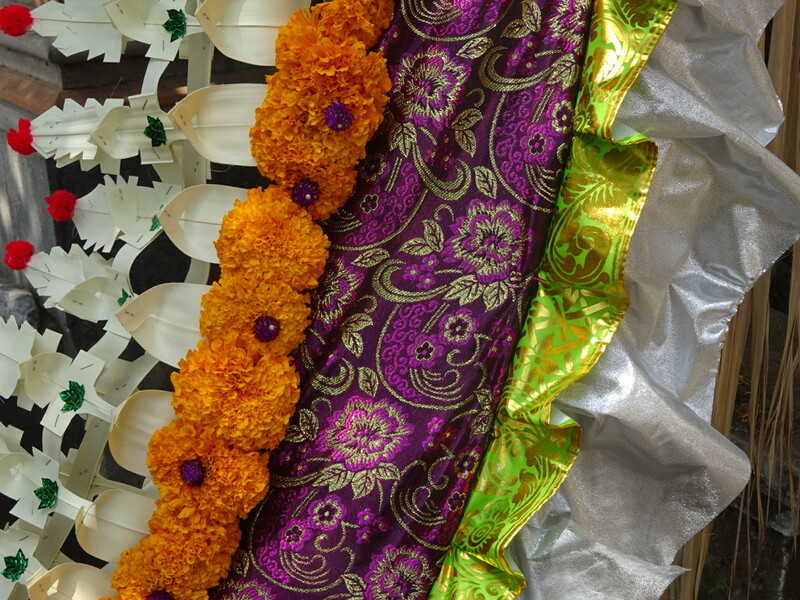 The entrance for the dancers and chanters. Following the dance we walked out and found ourselves facing a gelateria. Hmmm? End of a warm day on an island? Just went to a show? Too early to head home? All signs point to YES! And this would be the beginning of a deliciously slippery slope. 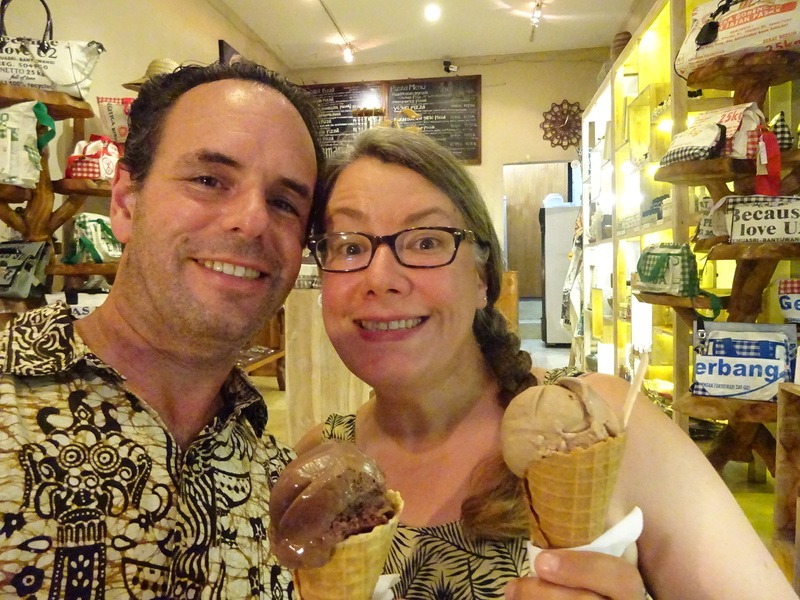 We each had a few samples (salak was mighty tasty, but it couldn’t beat out coffee or cinnamon or chocolate hazelnut) and sat on the steps of a temple to enjoy our best ice cream cones since Argentina. This would be the start of our cone-a-day paradigm. See? Like we said last post, in Bali we were definitely on vacation! Truth be told, we sometimes had two cones. For the record we had: Chocolate, Coffee, Bacio (basically Bali’s version of Nutella), Lime, Pistaccio (OMG – the BEST!) and Cinnamon. 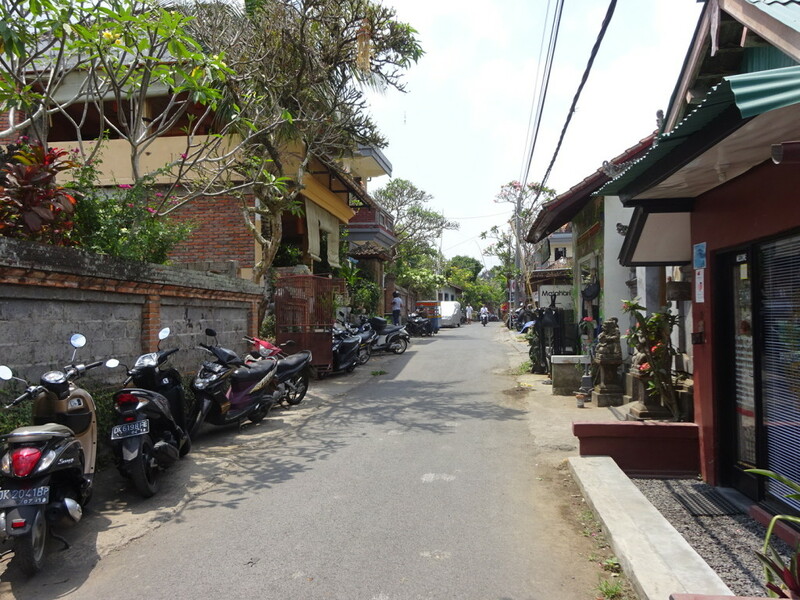 We scouted out classes in Ubud using TripAdvisor instead of our usual word-of-mouth or dumb-luck methods. 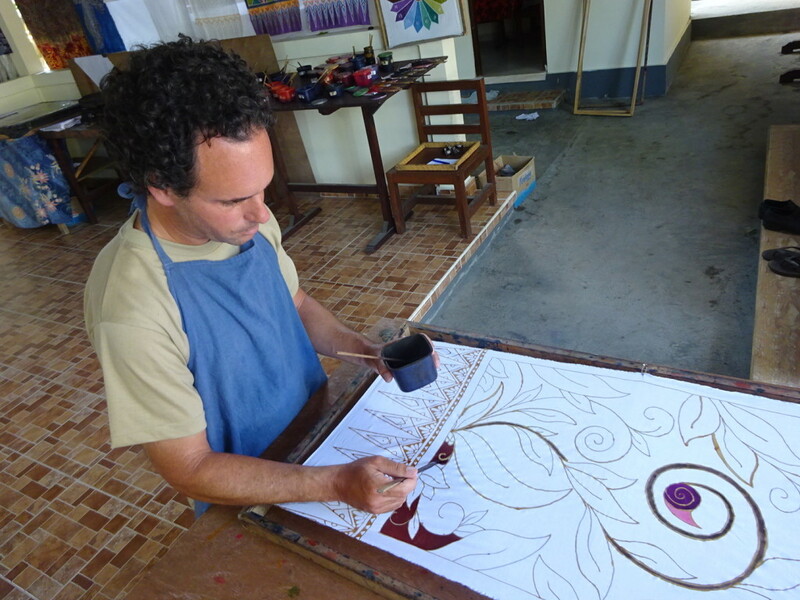 Both of us were fascinated with batik fabric painting and, happily, Ubud is full of batik classes. We picked the all day class with loads of great reviews and it was fantastic! Aaron will blog about it in detail, but we loved it so much that we signed up for a second class a few days later. 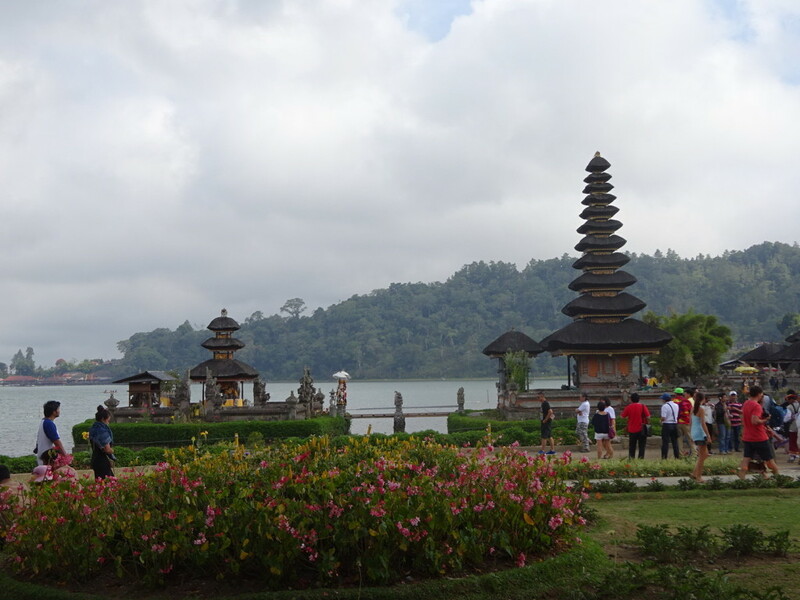 If I went back to Bali, I would totally do it yet again. More to come on this! 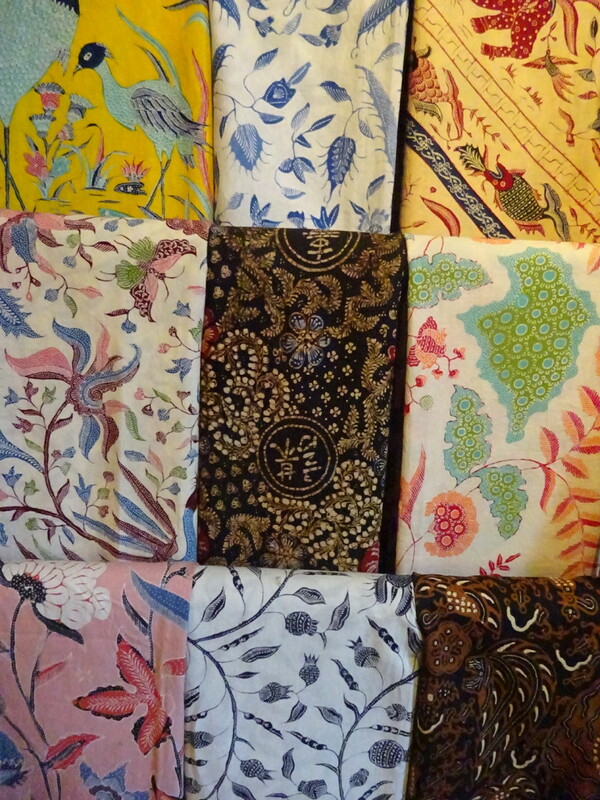 Fabulous hand-made Bali Batiks. These run in the hundreds of dollars. I wanted one really, REALLY bad, but held off. 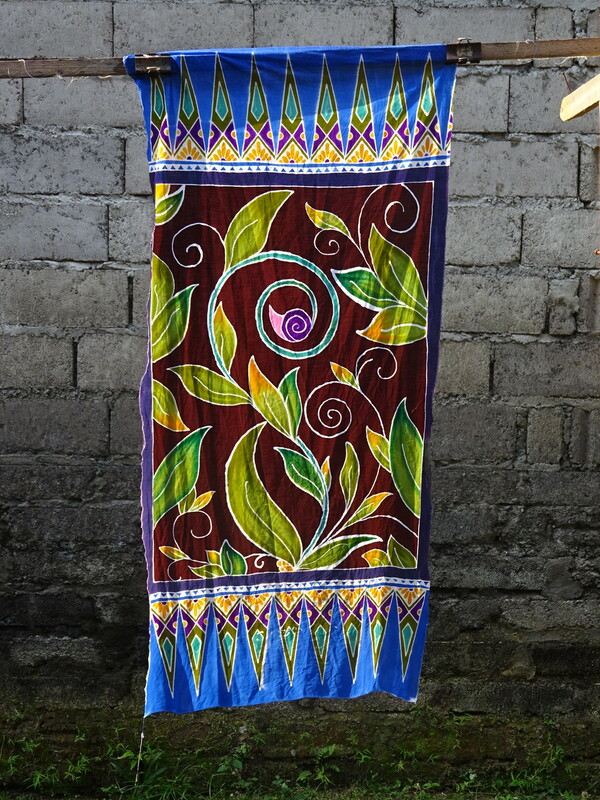 If you ever go to Bali bring a batik budget with you. Aaron’s first batik. He’s going to blog about it, but you can see he’s pretty darn good, my resident artist! 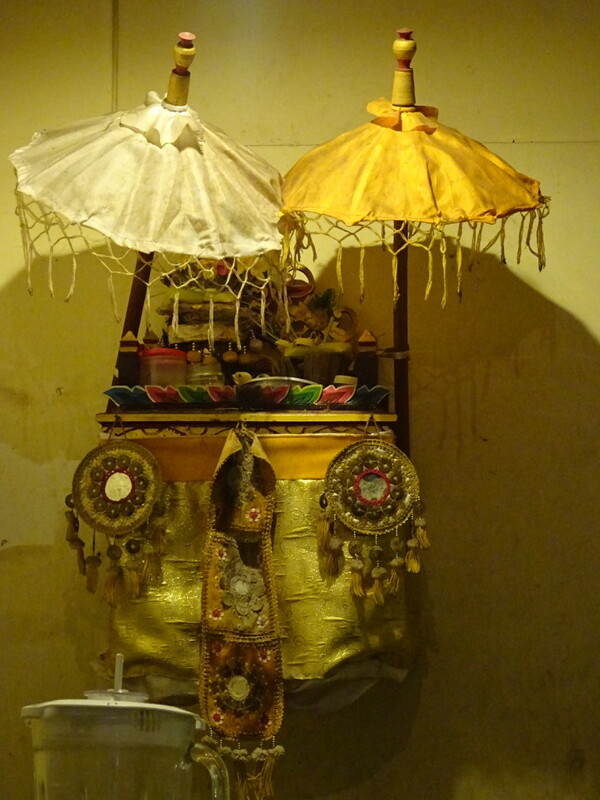 Years of sketching filigree put to good used in Bali. We did lots of other fun stuff, too. Bali is as famous for its massages as its diving, so we got a few massages while we were there; especially nice after Mongolia. 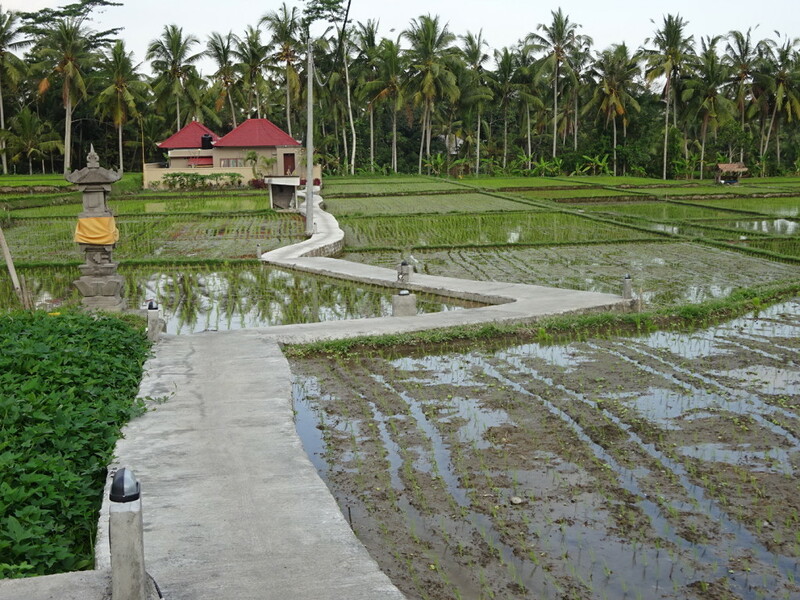 We visited a temple and several rice paddies, delighting in the beautiful scenery of this amazing place. 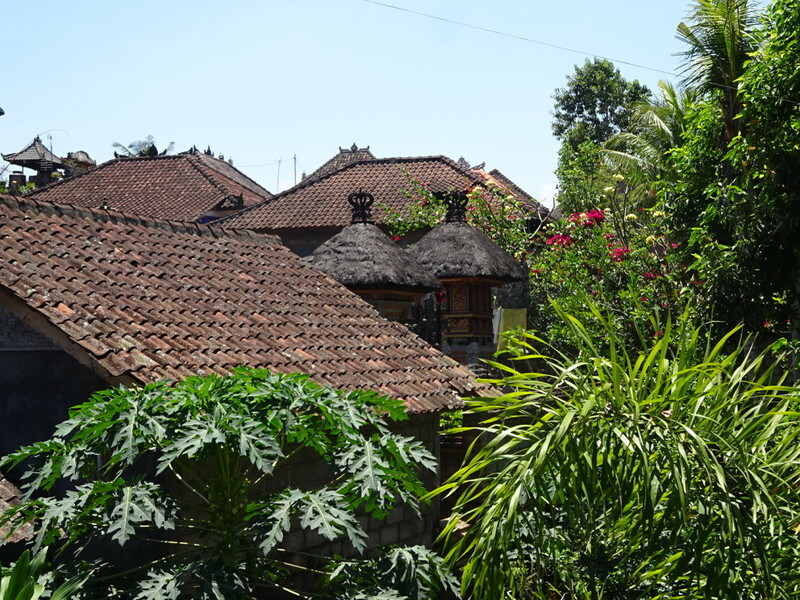 View from a lunch spot in Ubud. 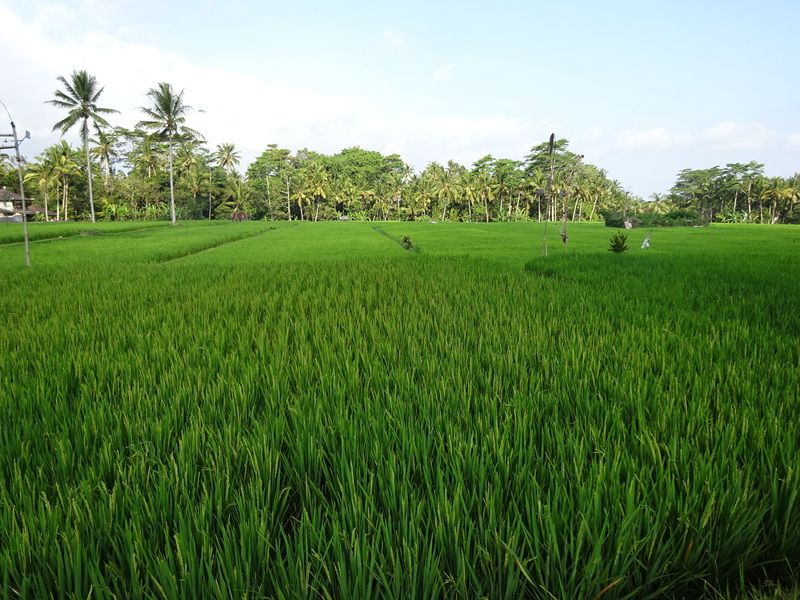 Super-touristy rice paddies – just look at all the people prancing around out there! Pretty, but not nearly as nice as “real” ones we just drove past. 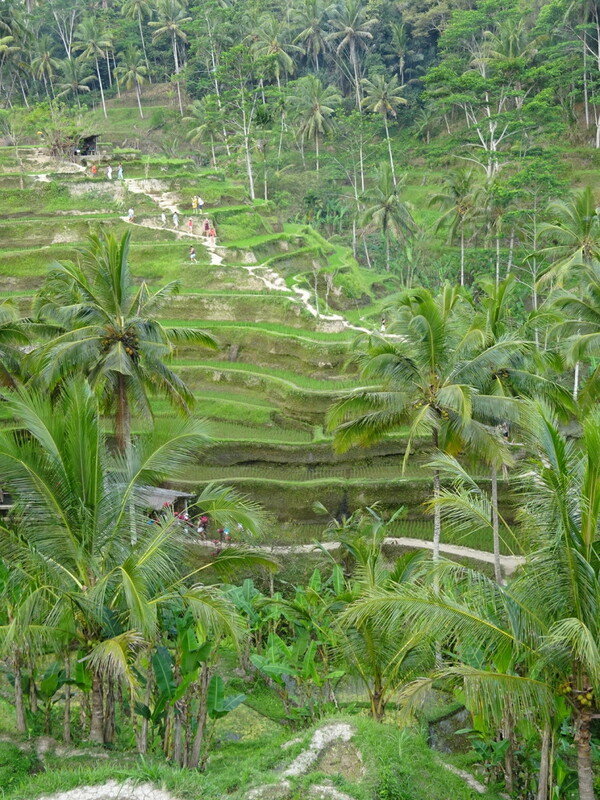 Active rice paddies under cultivation. 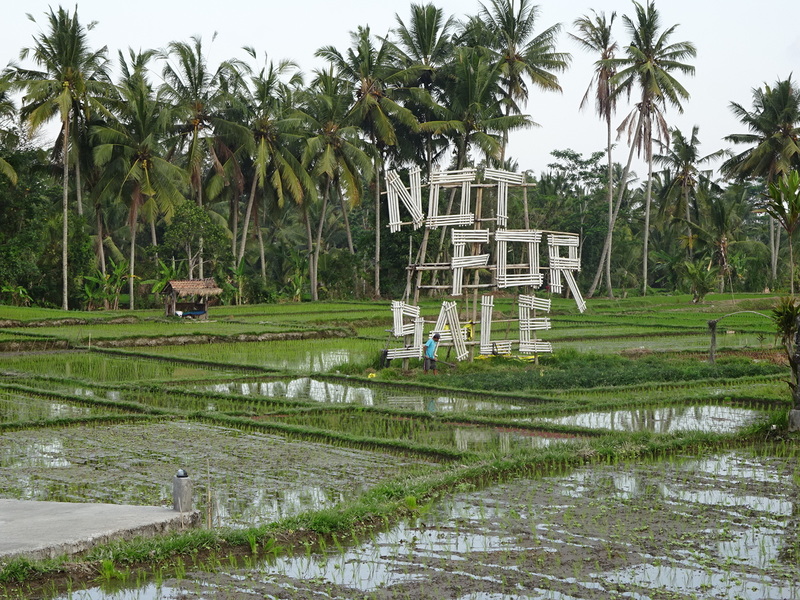 After Eat, Pray, Love, rice paddies started getting bought up for building over. Some folks, understandably, see a danger in this. Still, directly across the road from here was a rice paddy field up for sale. 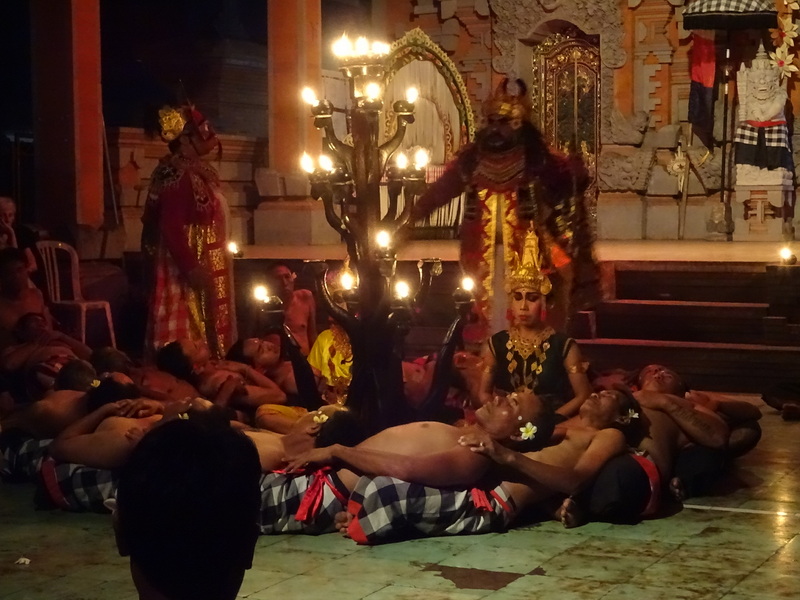 Easy to tell it’s a controversial issue around Ubud. 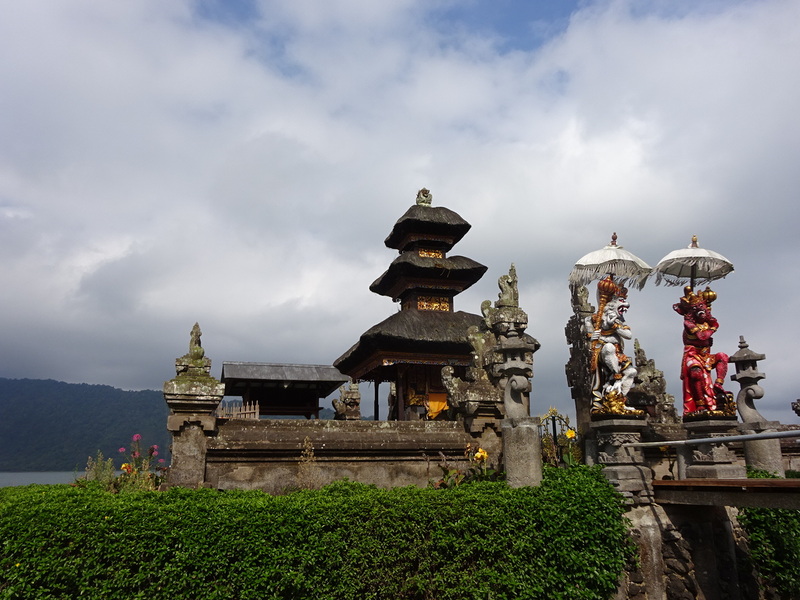 Visiting the Ulan Danu temple, famous especially for being on the 50,000 Rupiyah bank note (currently worth about $4). Statues guarding an entrance to part of the temple. 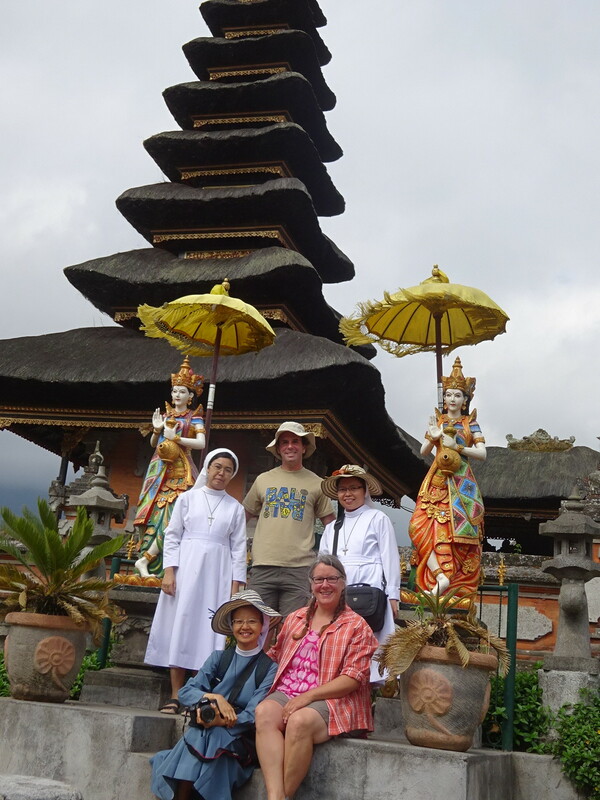 We were both more than a little surprised when a group of nuns asked to have a photo with us in front of the temple. Well, okay then! No, Aaron. Not even your noggin is big enough for that hat. 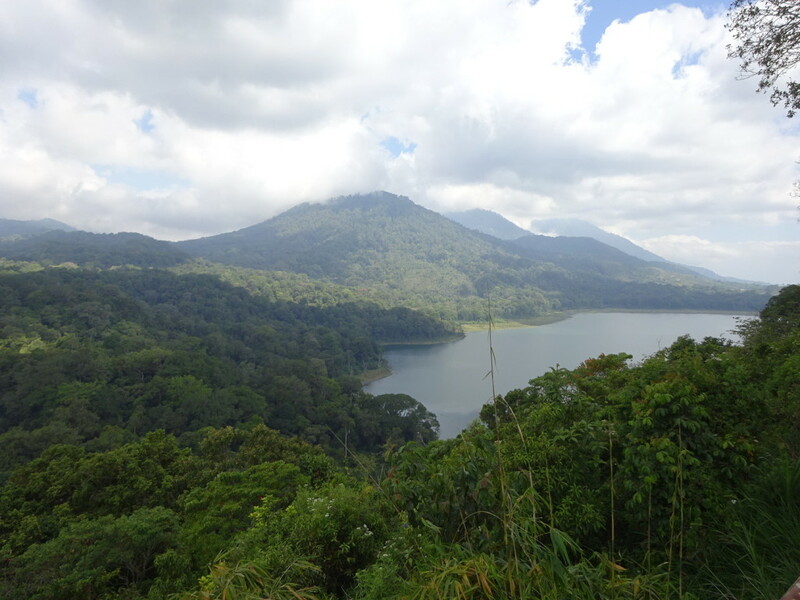 Seriously beautiful drives around Bali. Finally, we had to pack up and say goodbye to the family who ran our guesthouse, and give a final pet to their fuzzy puppies. We stayed at Pancer House, if you’re interested, and we highly recommended it. 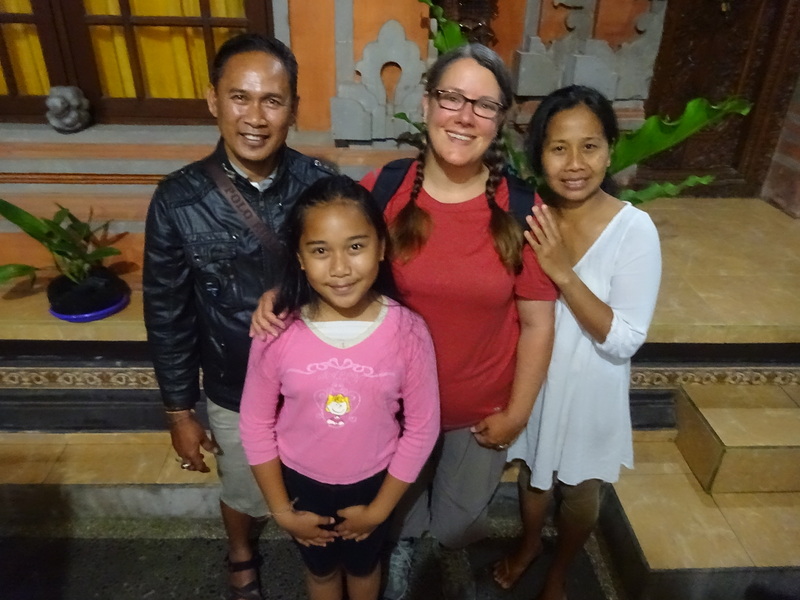 The family kept saying we are their Bali-Family now and they want all our friends to know they should come visit. We couldn’t agree more. 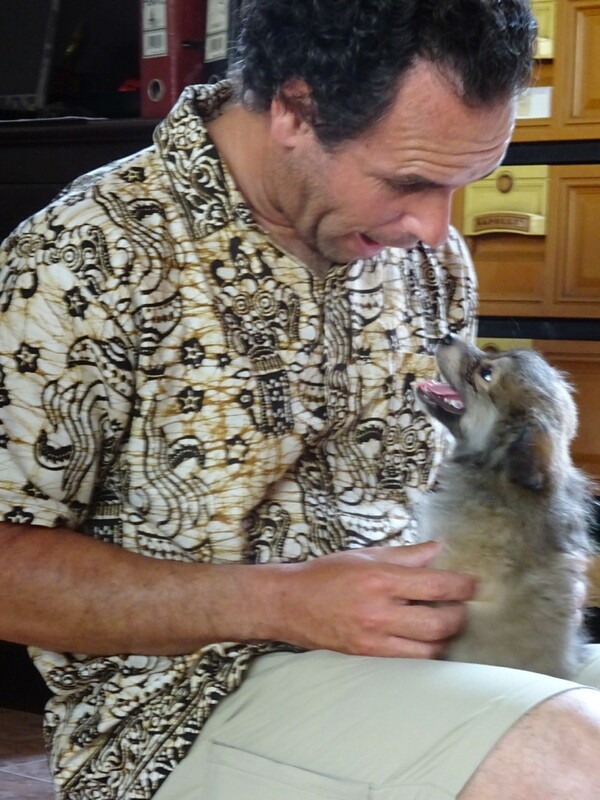 Our guesthouse came with cute little fuzz balls. This is one of them. The small one. The view from our room. Love the lush greens in between the rooftops. 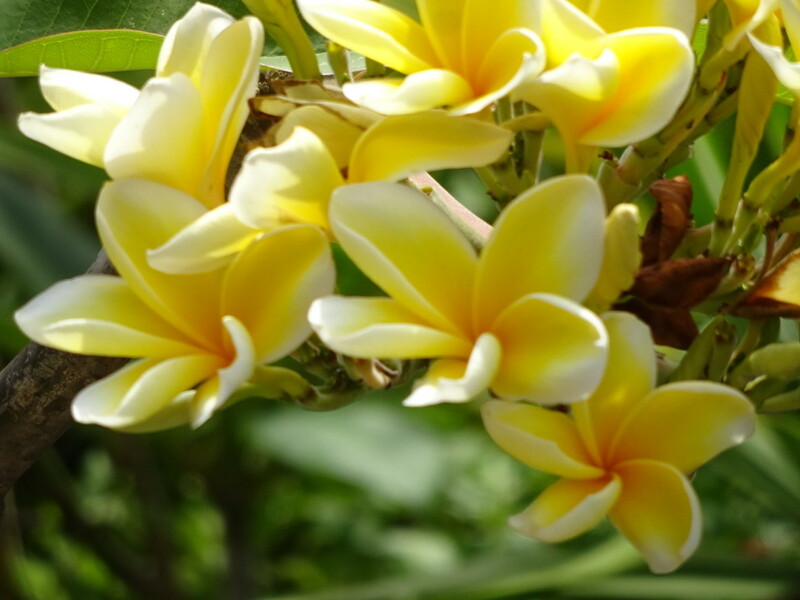 I might not ever grow tired of plumeria, my fave of all tropical plants. The garden at the guesthouse. Had only ever seen these in the grocery store. 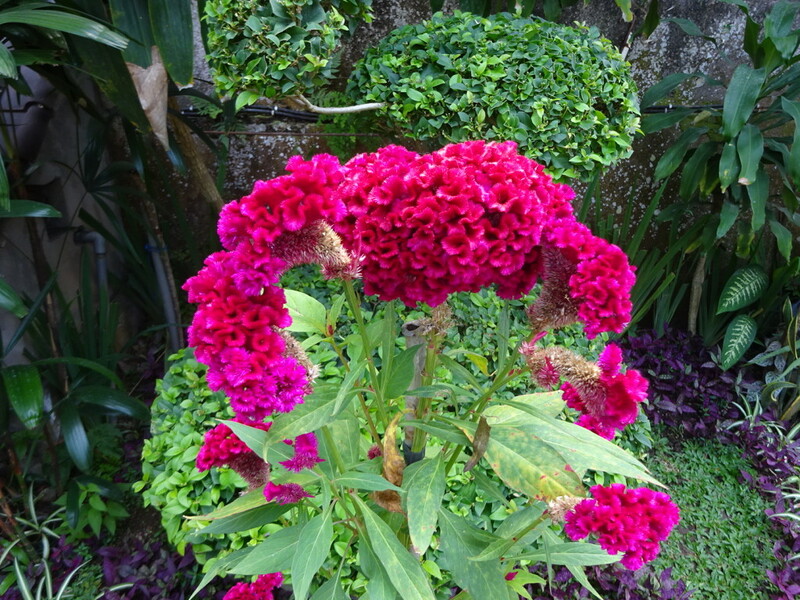 Now I can tell you they grow nicely in Bali and are so much more pretty in the garden! 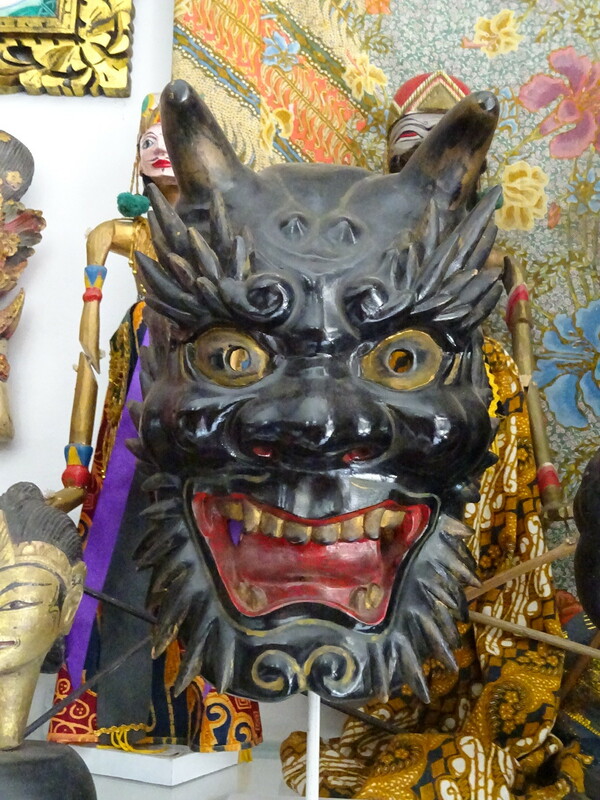 We saw a lot of masks, mostly of painted wood. 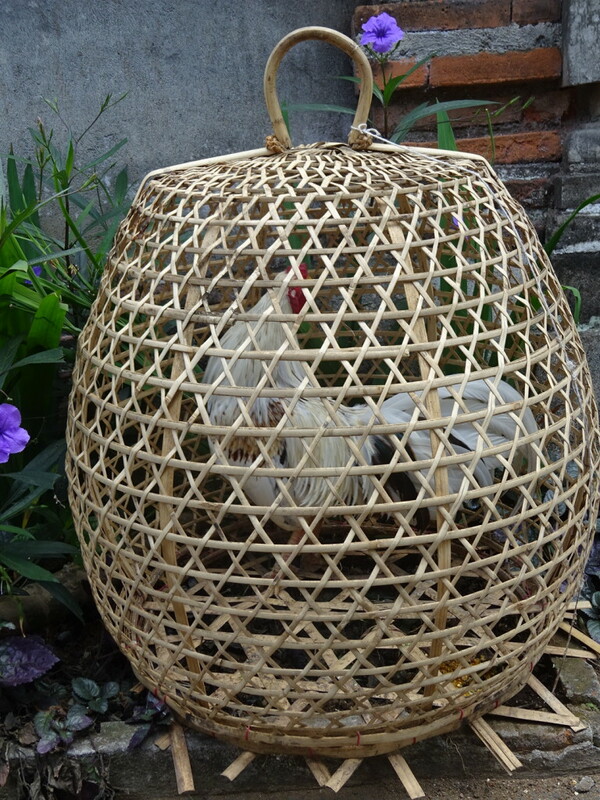 Roosters in baskets were not uncommon, but we don’t know the significance of it. 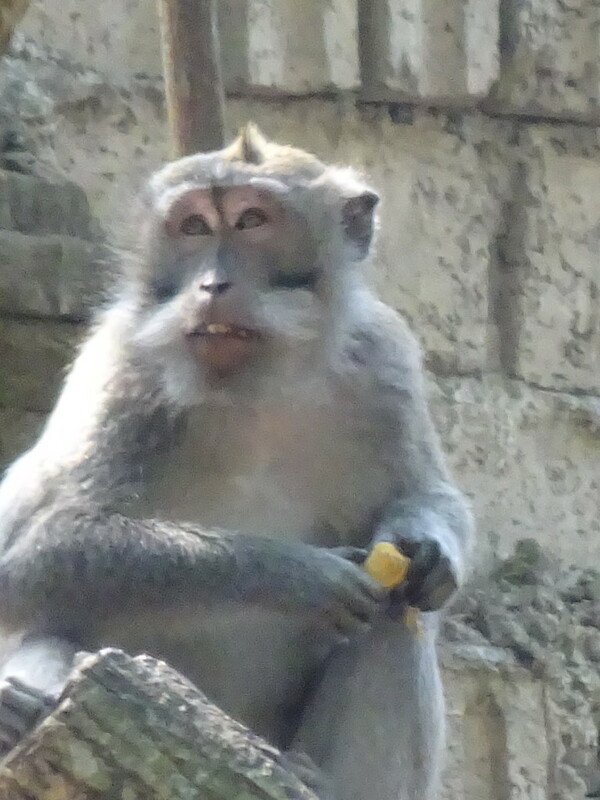 The Monkey Forest was nearby. Monkeys there have learned to steal items from watching tourists (glasses, hats, cameras, etc) and run away with them. 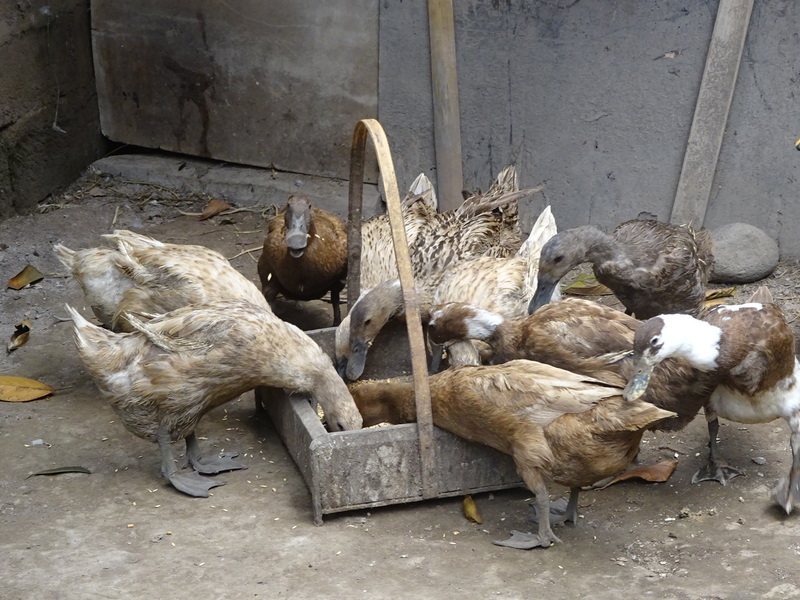 When cornered, they’ll only drop the items if you give them food! Pretty clever, but not exactly the kind of thing we want to watch or encourage. Nope, we prefer the curious monkeys, like in Tanzania or the Menjangan. Duckies! They are all over Bali. 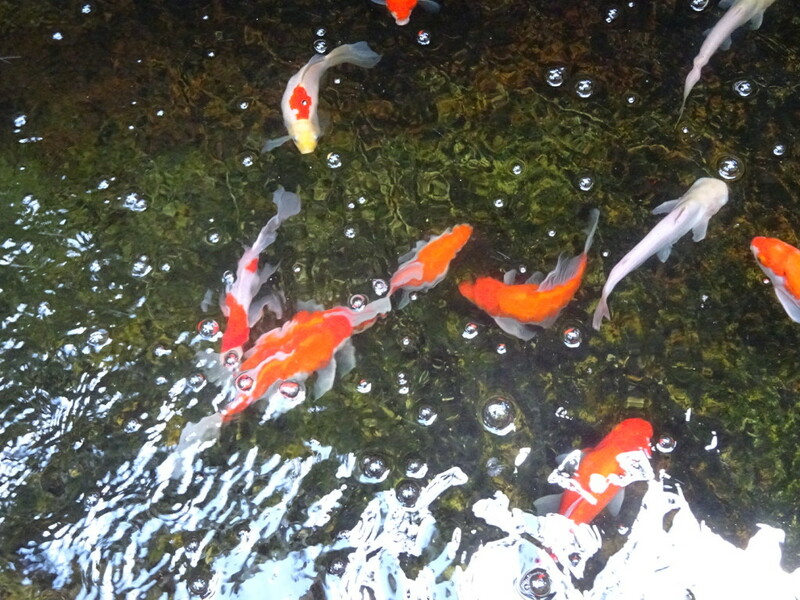 Might be for easy food and eggs, but I think they also hang out in the rice paddies eating some of the bugs. Father in the place we did our batiks. 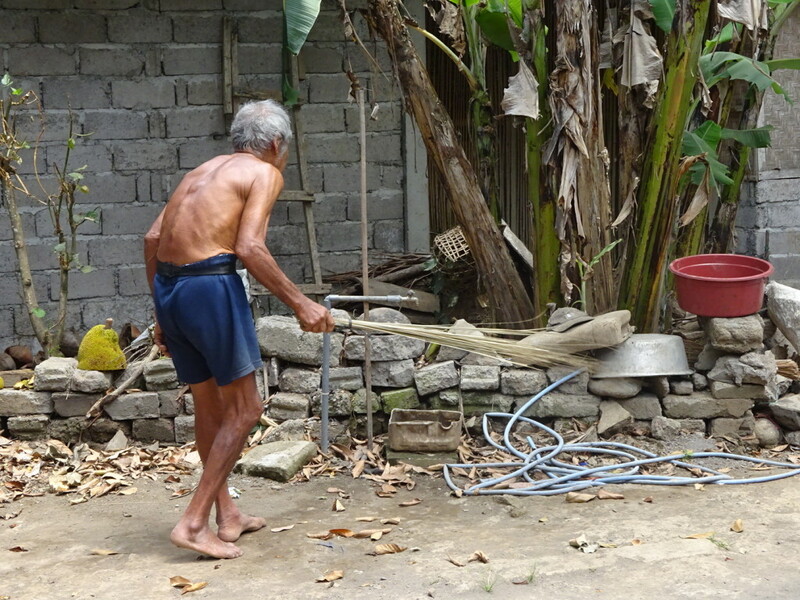 That’s a reed broom in his hand. 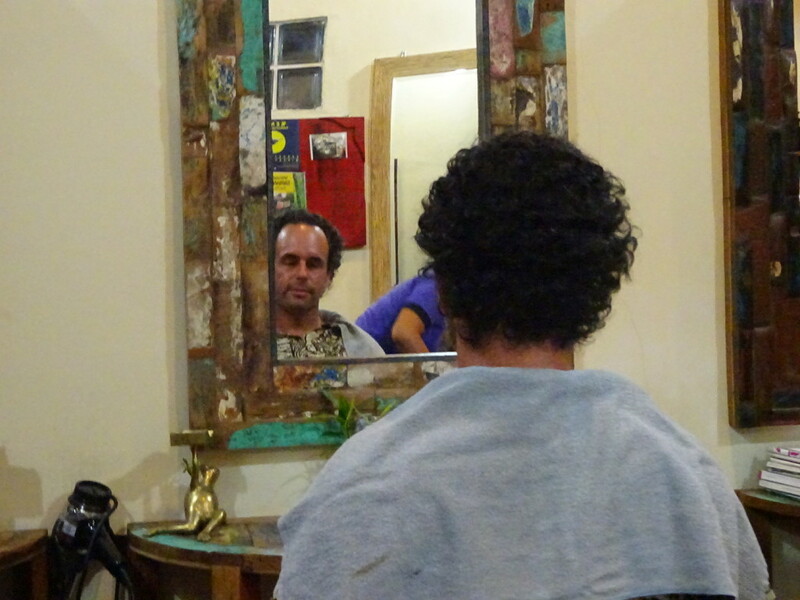 Somebody needed a trim and decided to do it at Bali prices instead of London prices. Smart move, hubs! Added bonus: it turned out pretty good! Yes. At Edward’s Scissor Hands no less. 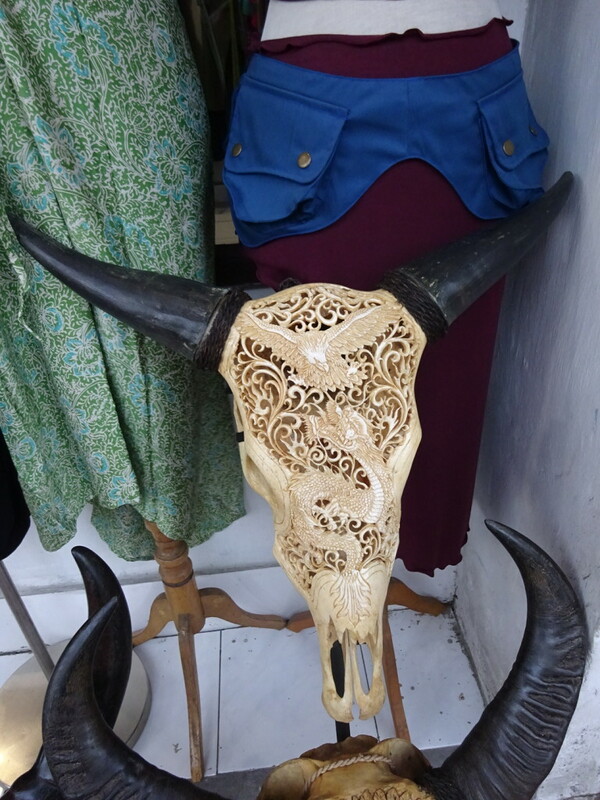 Why yes, that is a dragon carved into the skull. Such detail! 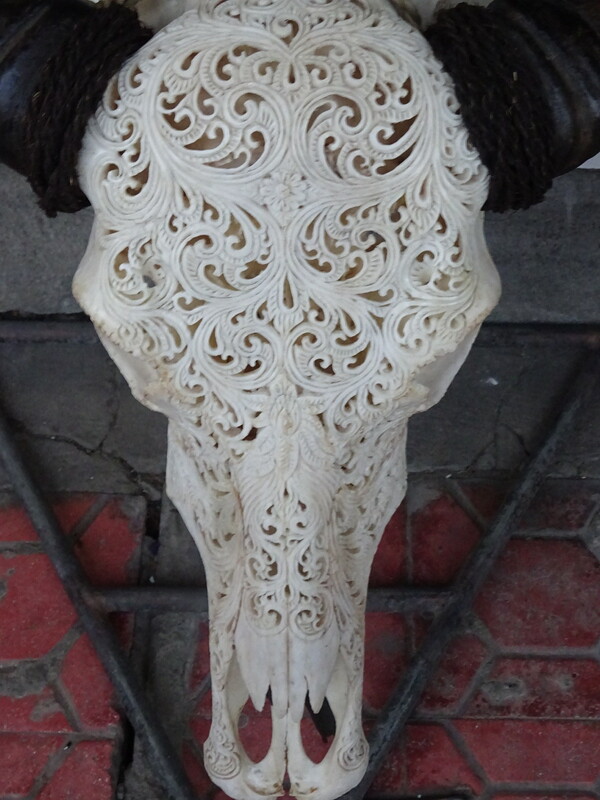 These bone carvings were very popular in Bali. We could imagine them in some hipster bar back home. 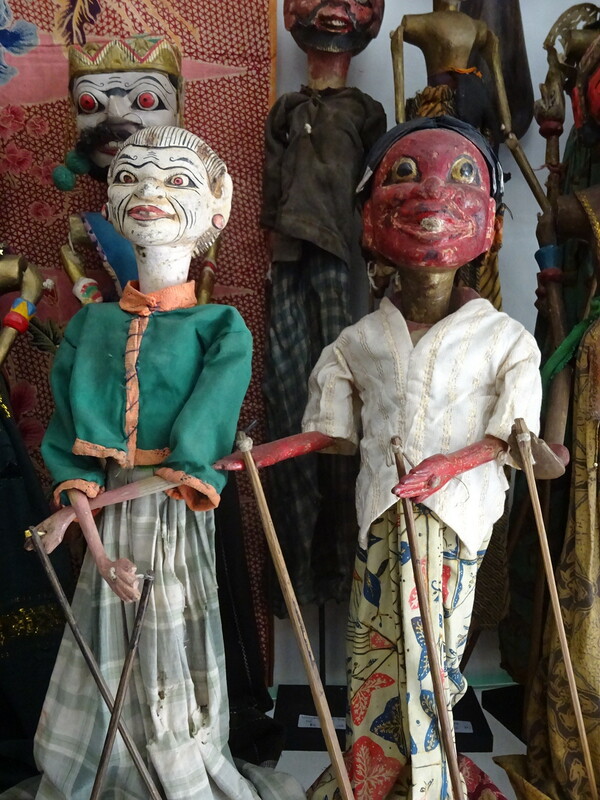 Two happy vacationers who’d go back to Bali in a minute! 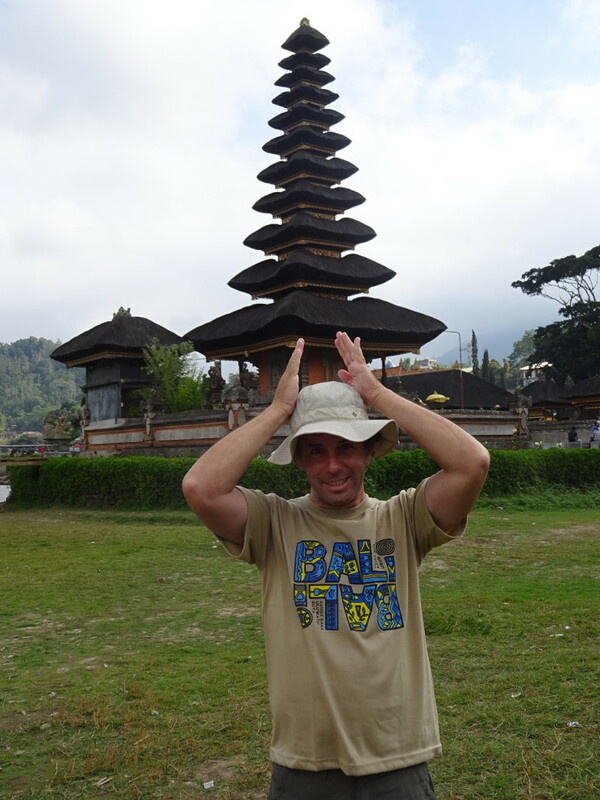 I keep adding places that you have visited to my bucket list and Ubud is going to the top! 🙂 Thanks for all the ideas! We’ll do our best to help you grow your list. Can’t wait to hear what adventures you go on. 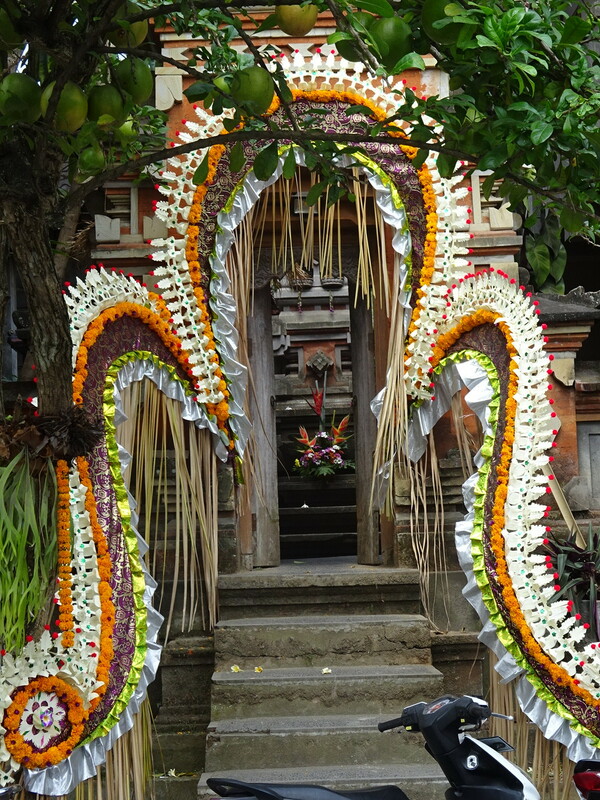 Ubud, and all of Bali, were really good to us. We’d love to go back someday. Ahhh, the sweetest of all corrections! We are on the lookout for Bacio. If it’s anything like the ice cream, I’m already in love. Excuse me. You like the monkeys in Tanzania? What about nasty little critter who unzipped my backpack and stole several energy bars? Not nice, monkey. Let’s go back to or, in my case, go to Bali. Ummm….we liked all the monkeys except that one.